According to “Wild Flowers Of New York”, by Homer D. House, the Lotus (Nelumbo nucifera) symbolizes purity, beauty, majesty, grace, fertility, wealth, richness, knowledge and serenity.The Lotus is a sacred flower for Hindus and Buddhists. The leaves were up to a foot across and the flower was up to 6 inches wide. The July 29, 1937 Clyde Herald reported that the Lotus in Sodus Bay blooms from July to August and generally starts around July 25 and lasts about 30 days. That same year, the August 11, 1937 issue of The Naples Record reported “The four-acre bed of Sodus Bay is expected to be in full bloom and at its best this week. The bed, one of only three in the United States and the only one in New York State, is said to have increased 35 percent in size since last year”. An August 13, 1933 newspaper clipping from Frank Grosz stated “The main lily field is located in the shallow waters of the bay at the northeast end of the new bridge at Resort, N.Y. These lilies are indigenous here and have been observed since 1846. Summer campers, in gathering them, destroyed the roots so a bill was legislated through Albany conserving them to the end that the yield has increased each year with this summer’s display exceeding any past display in size”. Today the Lotus Flowers of Sodus Bay no longer exists. What happened to them? The short answer is the activities of man and nature. The Lotus Bed in Sodus Bay was, at the best of times, a very fragile thing and had a perilous existence. 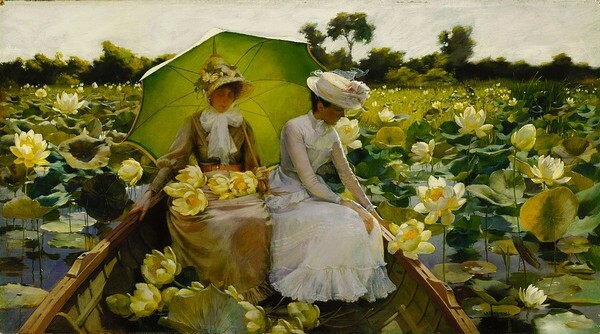 The bed of blooming Lotus was very beautiful and attracted many summer tourists and vacationists, this was both a blessing and a curse as seen in the following newspaper article. Gordon Davenport, the only game warden in the United States who cares for an oriental lotus bed is afraid his cares soon will be sacrificed to boating. One of the three in America – the others are in Toledo, Ohio and in Florida – the bed will start blooming within the next two weeks but, Mr. Davenport said today dock construction nearby “may ruin them”. “It isn’t the docks so much, but the boats who have to sail through the flowers to reach them. He added and named the “flag reed” as another “enemy” of the blossoms. A few years ago the flowers grew right up to the bank”, he said. “But the reeds have gradually taken their place. We have asked the conservation department for their removal”. “All attempts to transplant the flowers, even to some other part of the bay, have failed”, Mr. Davenport said. “Scientists think the mud here is the reason the lotus will grow only in this area”, he explained. “There is a hard crest several inches below the crust into the muck”. The beds are protected by state law, supervised by the conservation department. In addition to his other duties, Mr. Davenport sees that the law is enforced. Mr. Davenport reiterated the warning issued a week ago by conservation commissioner Lithgow Osborne that “tourists who pick the flowers are breaking the law and will be prosecuted”. 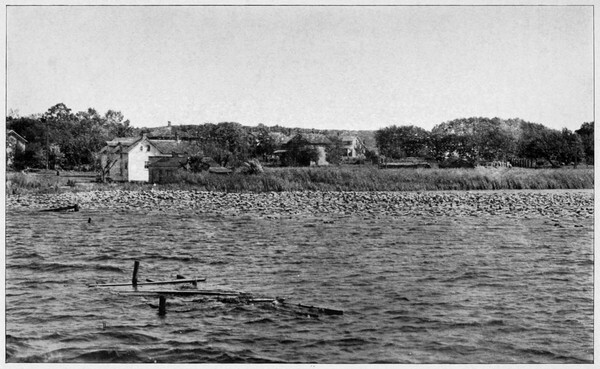 The following year the Aug. 23, 1938 Geneva Times reported “Struck by wind and rain and ravaged by an insect, the famous lotus beds at Sodus Bay were not in their prime this year”. 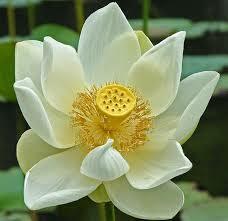 So the beautiful Lotus flowers of Sodus Bay are gone now and we are the poorer for their passing.